We’ve all been there, spending time deciding exactly what to order for our big night in, looking forward to a hot and tasty takeaway being delivered straight to our door. But the excitement as you receive your order can quickly dissipate as you realise the food has been jostled and jolted around during its bumpy journey, with toppings slopped all over the place and, worst of all, it’s cold. And while you might put the blame on the delivery person, just think a moment – it’s their job to deliver food, they’re the face of their business, they’re not going to purposefully ruin their own food are they? Well, I hope not anyway. After getting so fed up with the state of some roads having a direct effect on their perfectly prepared pizzas, they’ve taken to fixing the roads themselves by filling in potholes, according to Vice. Have you ever hit a pothole and instantly cringed? We know that feeling is heightened when you’re bringing home a carryout order from the local Domino’s store. We don’t want to lose any great-tasting pizza to a pothole, ruining a wonderful meal. Domino’s cares too much about its customers and pizza to let that happen. 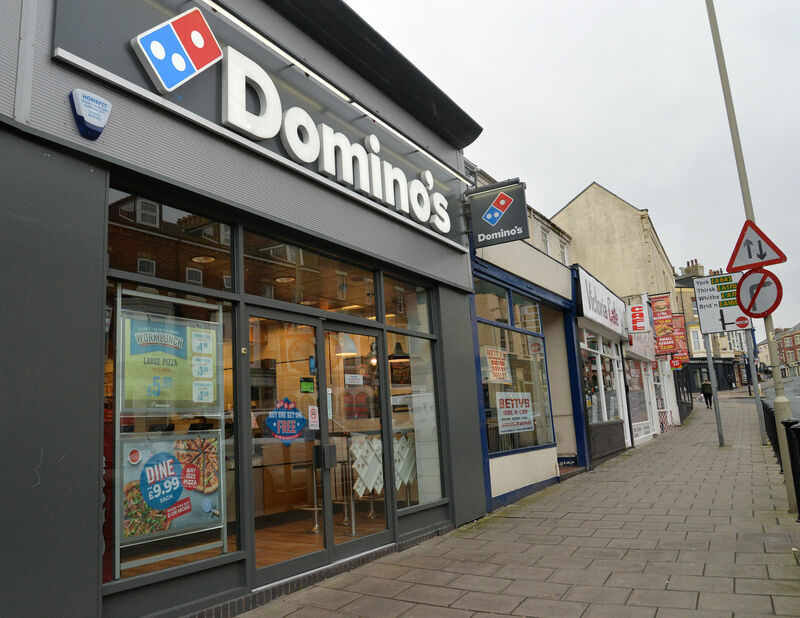 Whether you’re into Domino’s pizza or not, the fact they’re swapping hair nets for construction hats and tarmac-ing roads has to be applauded, right? The pizza company is accepting requests on their project website, for where they should work next – go to pavingforpizza.com if you’ve got any recommendations! 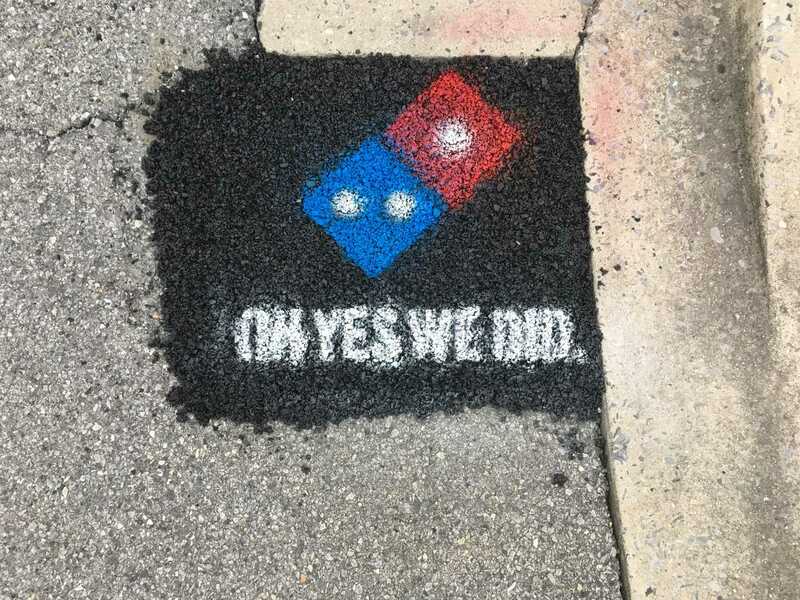 While it might all look like one big publicity stunt, Domino’s has followed through and, so far, roads have been repaired in Burbank, California, Milford, Delaware, Bartonville, Texas, and Athens, Georgia. 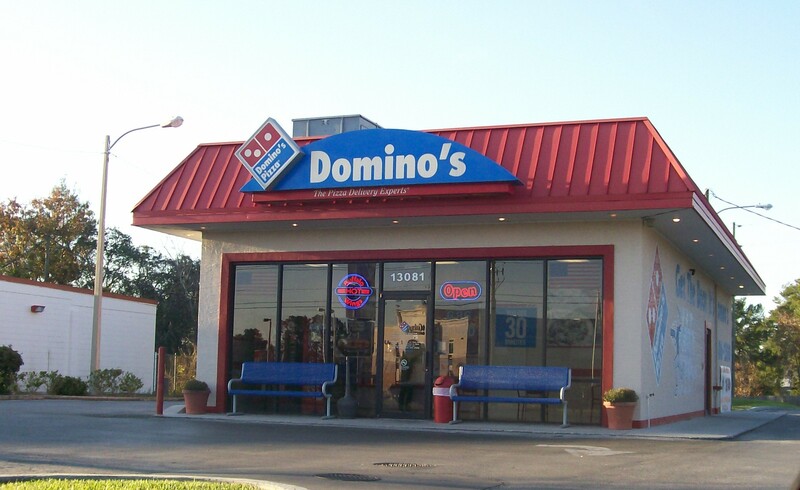 According to the Domino’s website, the company has spent 29 man hours in total to repair the roads. Though the project has started in America, let’s hope they bring the innovative scheme to the UK too. This unique, innovative partnership allowed the town of Bartonville to accomplish more pothole repairs. We appreciated the extra paving for pizza funds to stretch our street repair budget as we addressed more potholes than ususal. 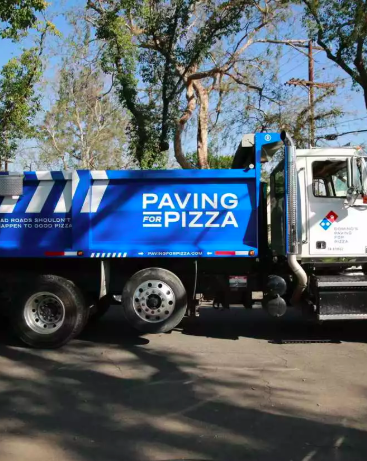 Perhaps Domino’s could go a step further and resurface the roads while fighting plastic pollution at the same time? Enfield Council in London, which is controlled by Labour, have already resurfaced one road with a mixture of plastic and asphalt, and are planning on paving the way by using the mix on all of their streets. The substance is tougher than normal and more durable than the standard, so in theory, it should also reduce the number of annoying potholes. Transport for London have given the council the funding to go on with their plans, which is aiming to fight the environmental impact of plastic waste. Let’s hope it helps the pizzas have a smoother journey too!